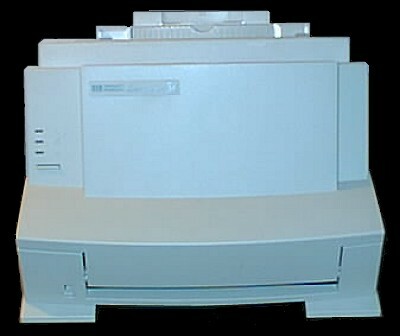 Fully refurbished HP Laserjet 5L, please also check below for the accessories we offer for the series 5L. If you have any questions feel free to Email, FAX or Call us. We also offer REPAIR service on this model of printer, if you wish to have your printer Repaired please Go Here. One of HP's lightest and smallest laserjets. One of HP's lightest laserjets coming in at about 16 lbs. This printer is one of the few HP laserjets that has very little problem printing almost any label format. If you need to get the most out of your space at the home or the office then this printer is for you.